Can You Recommend Crystals For Someone With Costocondritis, A Cartilage Inflammation? Can you tell me what stone or crystal would help someone who has costocondritis, which is an inflammation of the cartilage which connects his ribs to his sternum. This is an on going problem for him, similar to arthritis, and is very painful. Any suggestions would be great. Thanks and yes, I know these are not a guaranteed cure. I'm just looking for some help. Thank you for reaching out to us with your question about crystals for costocondritis. Let me first share the standard disclaimer: I am not a medical professional and can neither diagnose illness nor prescribe medical treatments. Crystals should not be used as a replacement for medical care, but rather used as a complimentary therapy along with the treatment prescribed by your licensed medical professional. 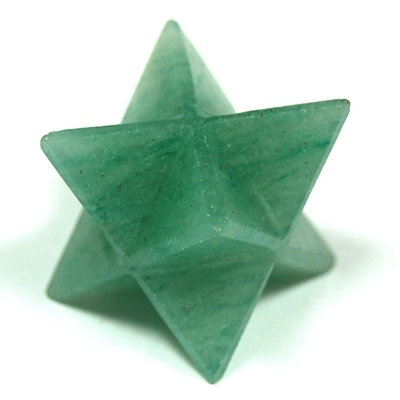 Due to the location of the cartilage issue, I think wearing a pendant that rests on his sternum might be the most beneficial way to receive the crystal energy. Rose Quartz, Green Aventurine and Fluorite would be my three suggestions. You might start by showing him pictures of these and asking which one seems to attract his attention the most. He could try wearing that daily for a few weeks to see if he feels a difference. It would be a good idea to clear the crystal regularly with this daily wear, so putting it on a piece of Selenite or using our clearing videowould be some easy ways to accomplish this on a regular basis. I find that both methods are helpful for clearing as well as re-energizing the crystal.